The plasters used to create the bronzes. A collection of bronze sculptures made from plaster models of wax originals by Edgar Degas were at the center of a legal battle in New York. American art dealer Walter Maibaum sued the Canadian businessman Yank Barry and the Global Village Champions Foundation, a charity he spearheaded, for breaching a number of sales contracts. Maibaum also claimed that Barry failed to pay him for a number of bronzes. 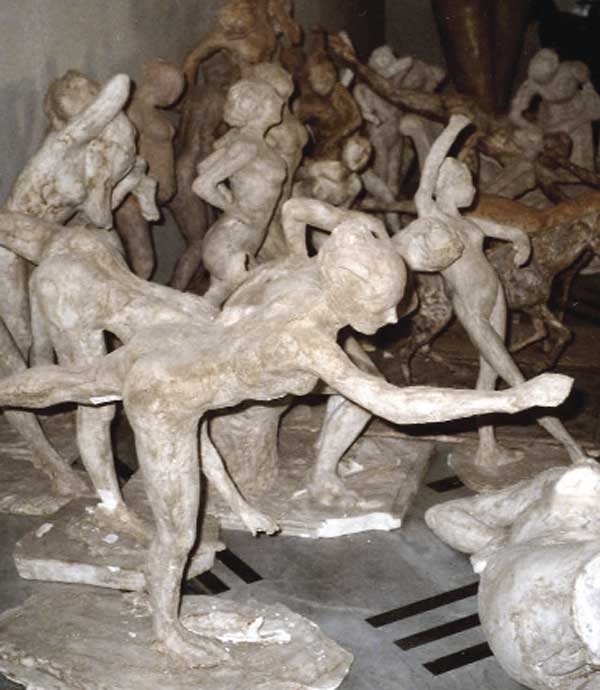 In 2004, Maibaum, the executive director of the Degas Sculpture Project in Newark, NJ, discovered 74 plaster sculptures made from wax originals by Degas at a foundry near Paris. In 2005, the French Valsuani foundry began producing 29 sets of bronzes from 73 of the newly discovered plaster figures. Maibaum claimed that because Valsuani owned the plasters, it did not need to get permission from Degas’ heirs to cast the bronzes. In 2007, Succession Degas authenticated the plasters and the resulting bronze editions. In 2008, Barry agreed to buy at least two sets of 73 bronzes from Maibaum, with the option to buy eight more sets. Ultimately, Barry failed to pay for the sculptures and never received any works from Maibaum. The contract was amended in 2009 but again, Barry failed to pay and no works were received. Finally, in 2010, Barry proposed that his charity buy a set of 74 bronzes, estimated to be worth $30 million, with the intent to raffle them to raise money for the victims of the Haiti earthquake. After receiving $400,000 from Barry, Maibaum shipped the sculptures. He never received another payment and the Haiti raffle was abandoned. Ultimately, the Degas Sculpture Project amicably resolved its dispute with Barry, Global Village Champions Foundation, and all others named in the filings. A statement was issued that said, "Global Village Champions Foundation, Inc. is not an instrumentality of fraud, but rather a very worthy charitable organization that works to eradicate hunger around the world. The Dega Sculpture Project Ltd has the utmost respect for Mr. Barry, a two time Nobel Peace Prize Nominee, in that goal and we fully commend Global Village Champions Foundation, Inc. for its international humanitarian efforts."